MU researcher says residency programs should include flexible scheduling, daycare, and peer-to-peer support. More and more physicians are becoming parents during their medical residency training. While most residency programs offer support for resident physicians during pregnancy, no formal ways to support parenting residents exist beyond the immediate birth of their children. Following a study of conflicts with work and family life, a University of Missouri School of Medicine researcher suggests that supportive residency training programs are needed to assist physicians who are managing demanding work and personal lives. "While children can be a source of joy, conflicting demands on a resident's time may add stress during an already stressful period," said Laura Morris, MD, a primary care physician at MU Health Care's Family Medicine-Callaway Clinic in Fulton, Missouri. She is an assistant professor of clinical family and community medicine at the MU School of Medicine. "The purpose of this study was to gain a better understanding of the experiences and perceptions of parenting residents regarding their roles as parents and physicians. These residents must attempt to balance work roles as learners and clinicians with personal roles as parents and partners, which can result in conflicts that cause both positive and negative outcomes on their families and residency experiences." Morris and her colleagues conducted focus groups with family medicine residents who also were parents. She asked the residents to discuss how parenting during residency had affected their well-being and how they perceived their roles as parents and physicians. The participants described both positive and negative outcomes from their decisions to become parents during residency, yet overwhelmingly supported greater scheduling flexibility at work. "We conducted this study to better understand residents' perceptions of the positive and negative characteristics of their roles as physicians and parents," Morris said. "Participants described negative residency experiences, such as being required to bounce back and forth between working days and nights, and the uncertainty of when and how to access sick leave. Participants also described feeling guilty for multiple reasons during their residencies, including not being able to offer more support to their spouse." Participants were largely positive in their discussions of the faculty, staff, and fellow residents they encountered during residency; however, their perceptions of the structural elements of residency were mixed. She believes her study highlights the need for more residency programs that support parents. Morris says residency programs should offer certain services to residents to help ease their load. Hospitals and clinics create child-friendly spaces to facilitate visits with their parents during meals and scheduled breaks. 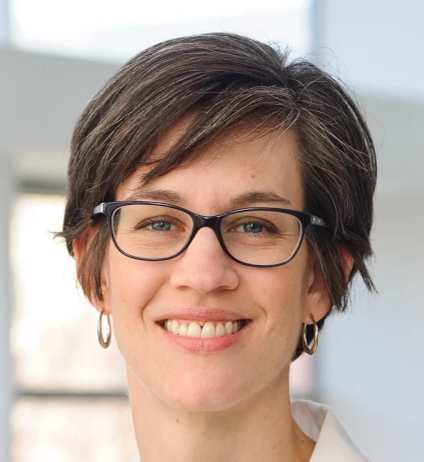 "Residency programs that are supportive of physician parents should ensure policies for parental leave are well publicized and equally applicable to male and female residents," Morris said. "These programs should explore the possibility of offering paid parental leave or on-site daycare, as well as creating ways for residents to share parenting information and resources." Based on her initial findings, future research could explore the impact of changes in residency program structure. The study, "Parenting During Residency: Providing Support for Dr. Mom and Dr. Dad," was published in Family Medicine. The MU School of Medicine has improved health, education, and research in Missouri and beyond for more than 165 years. MU physicians treat patients from every county in the state, and more Missouri physicians received their medical degrees from MU than from any other university. For more information, visit medicine.missouri.edu.